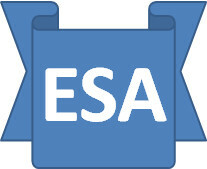 The ESA Saga: Atos or DWP - who is to blame??? A great deal of criticism is levelled at Atos and a good proportion of it is actually misplaced. How many times have you seen from any level within DWP the faintest hint of criticism? To the contrary, Chris Grayling has written personally to all Atos HCPs thanking them for their efforts. It is perfectly clear that Atos is doing exactly what DWP wants it to do in precisely the way it has asked them to do it. · All of the Atos processes in and around the WCA have been signed off if not designed by DWP. · All of the content of the WCA has been designed and approved by DWP. · All of the progressive tightening and/or removal of descriptors has emanated from DWP. · All of the manuals and handbooks used within Atos and DWP have been designed and signed off by DWP. · All of the trickery contained within an assessment (the invisible wheelchair for example) is there at the behest of DWP. · It is DWP that misrepresents the evidence-base it claims supports may of it decisions, by portraying what is at best consultation as if it were whole-hearted support. · It is DWP that selectively chooses the organisations with whom it “consults”. · All of the changes to the appeals process to make it harder are being orchestrated by DWP. So answering the question “What improvements should Atos make?” is not as straightforward as it seems. One area is undoubtedly to do with the rigour with which individual HCPs perform WCAs, but be careful what you wish for. The fact that Atos HCPs often do not follow the procedures in their WCA handbook at least provides good grounds for appeal, but conversely if they did, this opportunity would disappear. This would then leave just the content of the WCA (its real fitness for purpose) as a generalised basis for appeal, which is a far more subjective and therefore difficult issue to address and prove one way or the other. Another might be to ramp up the qualifications needed to perform a WCA, but there is a deeper underlying issue that determines current Government thinking. Occupational Health is not, as some would have us believe, a radically new branch of medicine that (ironically) does not need a wealth of medical knowledge to understand. It is in fact based on well established principles viewed from a slightly different perspective, with slightly different priorities. The DWP theory is that as OH has only limited medical/clinical content, it does not require in depth medical training and ultimately can be distilled down into an evidence-base that can be reliably interpreted by an administrator with no medical training whatsoever. Any similar suggestion within the NHS itself would be ridiculed – rather like my GP’s receptionist having power of veto over his recommendations. DWP cannot however answer how on this basis, it can accurately assess factors that cannot be observed fully within a WCA, notably task repeatability over a sustained period and MOST importantly CONDITION VARIABILITY – was the day of the WCAQ a good day or bad day? The only person who can make such an assessment is someone who fully understands the diagnosis, the treatments that have been performed, surgical remedies and the statistical range of potential outcomes, medication, side effects et., etc., etc., not to mention the complexities of mental illness - with all due respect, this needs more than a midwife or physiotherapist and a DWP administrator. In addition, Derby University has accredited the Atos Disability Assessment training programme, so Atos can therefore claim some legitimacy for what it is doing and even how it is doing it. Professor Harrington as far as I am concerned is only addressing symptoms not causes and is supporting the wrong model. It is the politicians (Tory now, Labour previously) that are driving through these ill thought through injustices, nobody else. Is it more of a case of the by common consent much maligned ATOS Origin being the tail that wags the dog ? ......ATOS use the inadequate tick box , drop down - " Computer says no ! " LIMA software ......they insisted from the outset that LIMA was to be used in the DWP contract . At a recruitment evening - a ATOS representative said the throughout is the main and only goal . Then there's the issue of ATOS Origin using pretty much the same methods used by the outlawed disability deniers UNUM Provident in the States , a virtually indentical to LIMA software , the bio -psychosocial - the " all in the mind " model , the insurance industry methods and illegal definitions . Then there's UNUM's lobbying power , rather than ATOS Origin being the DWP's stormtroopers ...is it more of a case of ATOS Origin taking the flack for UNUM ? ....the link is denied between the two companies but there appears to be very organic links . My point is writing this was mainly to keep DWP in the spotlight. At the time, almost all of the criticism was directed at Atos, which to a large extent was fully deserved and would have delighted DWP, but the risk I thought was that the main perpetrators were getting too easy a time. It does rather look like Atos substantially outmanoeuvred DWP when negotiating contract terms, but that aside, they are able, rightly or wrongly able to shelter behind the contract. This makes me think that early contract termination would not only embarrassing but also very costly and they would of course have to tee-up an alternative. It is always hard to publicly admit a mistake with outsourcing, particularly with such a big contract. The problem with LiMA lies in the diagnostic algorithm and the dependence Atos & DWP place on it. Every section of the programme allows an HCP to add comments, explanations etc. but they are actively discouraged from relying on them as they cannot be interpreted by the algorithm, which only uses the tick-boxes. At the end of the day, there needs to be some way of digitally logging a WCA in a consistent format for reporting purposes, analysis etc. and for this in isolation, the LiMA template may well be as good as any. The UK insurance industry is certainly licking its lips at what for them is the biggest selling opportunity since PPI. I would agree with this article up to a certain point. But without wanting to hit the Godwin point too quickly, every endeavour of this kind has relied on every single person who has made the whole system work. It would take only one nurse or one doctor to speak out to rock the system. Or one employee of the DWP.Atos designed its LIMA programme with the DWP objectives in mind. You might not know that in France, Atos is known and valued, among other things for its initiatives in favour of disabled people. You just need a good media machine. If you look at their annual report, you will see that the corporate objective regarding the number of disabled people employed by Atos is left blank. Atos employs the minimum number of disabled persons it can employ without incurring any sanction under the French law. Atos represents all what is wrong about private companies interfering in public services. It is not as much the DWP that we should fight that the principle of private companies delivering public services. There are a few things I do not understand. One is how Atos escapes the auspices of the Quality Care Commission. Another is how HCPs, many of whom were trained by and work/have worked in the NHS, reconcile their background with what they are doing at Atos. On the broader point, assuming that there is a way of defining public as opposed to private services across the board, personally I don’t agree with such a broad statement for two reasons. Firstly, I don’t trust the public sector any more than the private sector – there are too many examples of profligacy and self-indulgence that seem to be surfacing almost daily at the moment. George Orwell’s allegory “Animal Farm” described as long ago as 1945 the effect power has on most people. Secondly, management in the public sector is generally poor, so it will always provide poor value for money and there is a limit to what we can afford. However, in any area where service is paramount, I do agree that we cannot trust the private sector so have to pay the public sector price. The irony is that it is not necessarily any easier to effectively manage an outsourced contract (as DWP adequately demonstrates with Atos), than it is to run the operation “in-house” and the initial set-up is absolutely key to what follows. Given the standard of management in DWP, it is therefore reasonable to assume that the preparatory work was less than rigorous and I would seriously doubt the accuracy and reliability of any financial comparisons that justified the use of outsourcing. I am in the process of trying to find out what information DWP has that substantiates that initial decision. Looking at it the other way round, with 40,000 GPs in 10,000 practices many of which have nurses and physios, I’m sure they could absorb the WCA workload at little or no real additional cost AND deliver a much better service. All that aside, there is no reason in principle why the WCA job cannot be outsourced to the private sector as long as the assessment criteria are properly established and the contract is properly managed, which is why DWP is in the chair. This is of course far less likely when it is in the hands of unqualified administrators with their own agenda rather than true medical professionals with the patient’s well-being as their first priority. Work Experience has a some value.